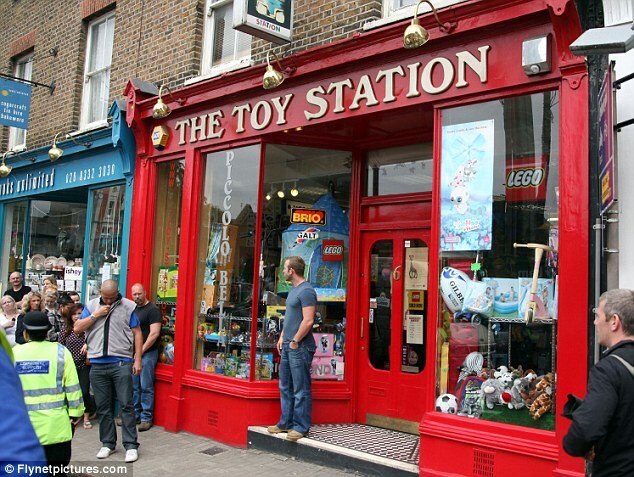 Salt actress Angelina took two of her children, Shiloh, five, and Zahara, six, to The Toy Station store in Richmond today, where they loaded up on a number of items, including toy currency. Once the other customers had left her bodyguard politely asked if we could close the doors while they shopped,' the worker revealed. The actress bought a number of cap guns and joke items such as water-squirting cameras as well as the fake money. 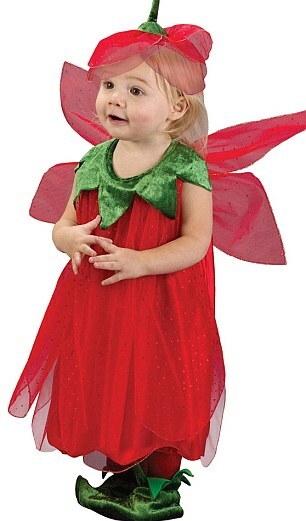 Also on the shopping list was a £25 Strawberry Fairy costume for Zahara, who is known for her love of girly clothes, while sister Zahara [Shiloh ]is a bit of a tomboy. As with everywhere the family ventures, a crowd soon gathered when they realised who was inside the store. The actress' bodyguard and a community support officer helped hold the fans and photographers at bay as the smiling trio, Angelina looking chic in a beige top and skirt and matching wedges, left the store. 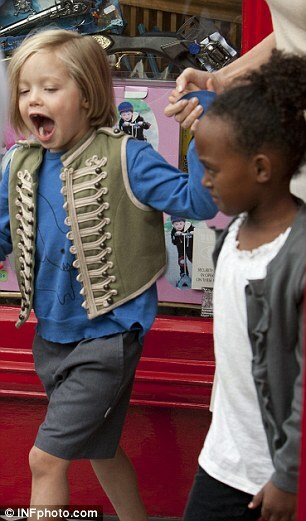 The entire Jolie-Pitt family are in the UK while Brad, 47, shoots his film World War Z in the country. While her partner is at work, Angelina has been keeping the children busy with days out. Yesterday she took Zahara, Shiloh and three-year-old twins Knox and Vivienne to the London Aquarium. and earlier in the week the entire brood were treated to a private screening of Harry Potter and the Deathly Hallows: Part 2 at the Odeon in Richmond.